Age-appropriate classes are provided for preschool and elementary children at 9:00AM during the Adult Sunday School time. 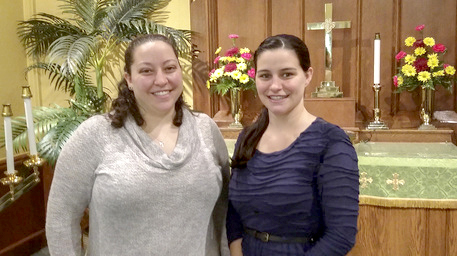 Our dedicated teachers present Biblical foundations for children in a loving environment. Class time may include stories, music, games, prayer and hands-on activities. These classes are designed with a curriculum and taught to enrich children in grades 1-5. The curriculum is specifically designed to deal with and understand every day life with a Christian principle. For these classes your child will be dismissed from the 10:15 and the 10:30 service following the children's sermon. An assigned adult will take each group to their class. We offer activities which are fun for all ages, such as the Fall Fun Fest, Caroling at Cornwall Manor, etc. Keep your eye on the bulletin or newsletter for announcement. 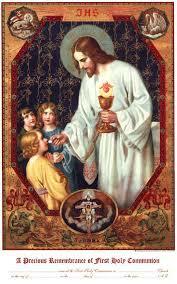 First Communion is an important step in the spiritual lives of many children. We offer a one-time workshop for children in second grade and older (and their parents) to explore and explain the tenets of communion. This will help prepare them to take part in confirmation when they are older. 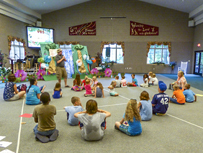 Gretna Glen Church Camp provides a wonderful opportunity for spiritual growth. It's more than just a fun week away from home! We encourage our children and youth to participate in this terrific program and support it financially on "Noisy Sunday" when we collect "coins for camp" which go to the camp scholarship program. For more information about camp, click on logo or call the camp at 717-273-6525. Contact the church office 717-272-0148 for information regarding the CUMC scholarship program. We support the children of our community by sponsoring both Boy Scout and Girl Scout troops, which meet in our church at various times through the week. For more information call the church office or click to go to the Boy Scout website or Girl Scout website.